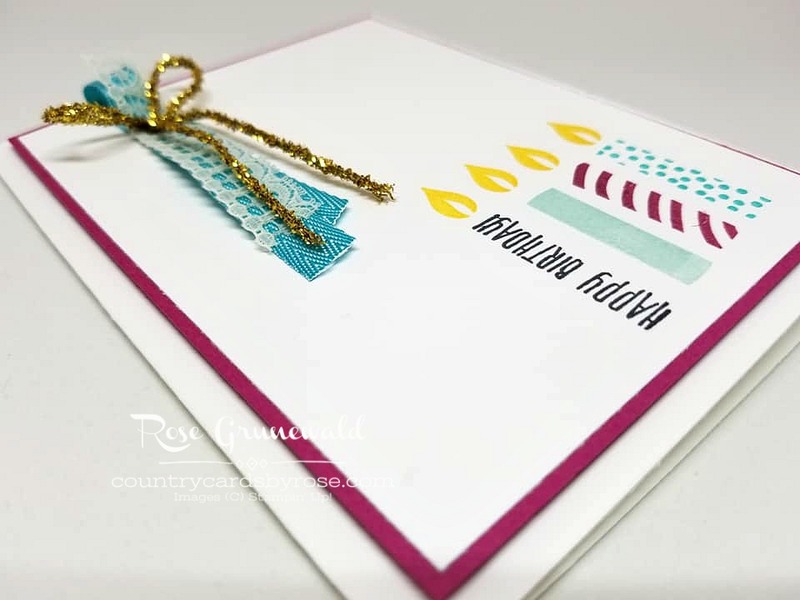 I've got a crazy easy, but super pretty birthday card for you today! You'll also learn how I use up some of the ribbon scraps that I have lying around. 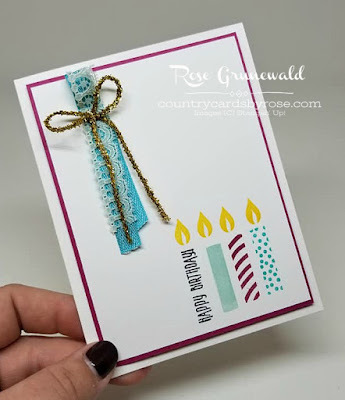 I was inspired for the color palette of this card by the Picture Perfect Party DSP that's featured alongside this stamp set in the Occasions Catalog. 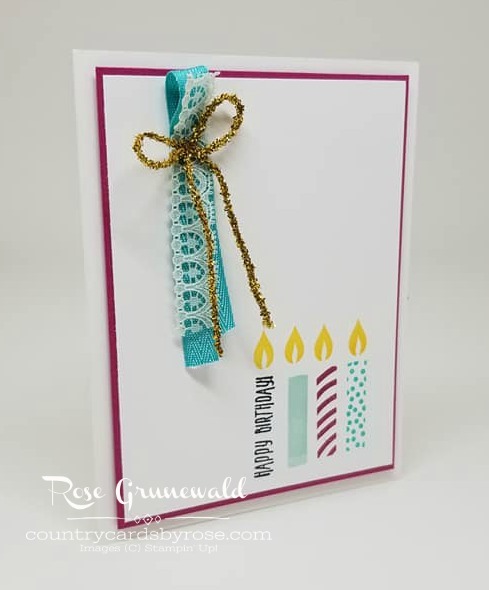 This paper is so bright and fun! You can see all the designs in the snapshot below. 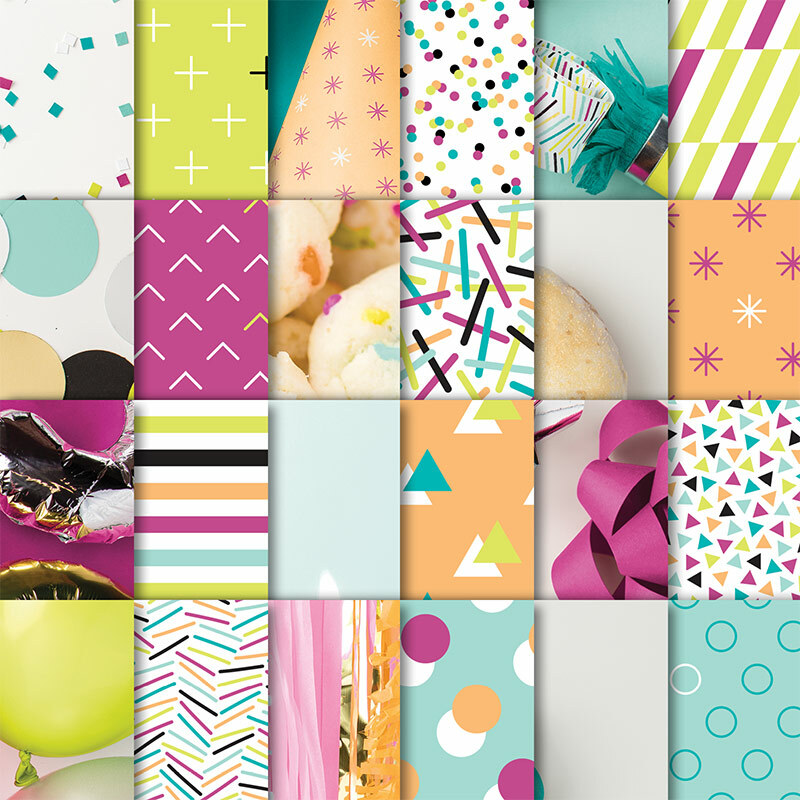 You need to get this pretty paper while you can before the Occasions Catalog expires! Aren't those colors just so fun? For my card, I used pool party, Bermuda Bay, and Berry Burst for a pop of color against the white card front. I think it turned out pretty sharp! Whisper White thick (card base) - 5 1/2" x 8 1/2"
Berry Burst - 5 1/8" x 3 7/8"
Whisper White - 5" x 3 3/4"